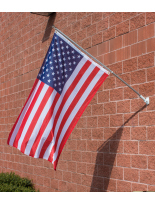 Double-hemmed flag has increased durability. Quadruple stitched ends to increase strength. 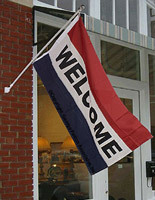 Large Flag draws passersby to your store. This advertising sign is a perfect open flag for any business' storefront. This open flag, like an advertising sign and a message banner, is red, white, and blue. These bright colors are sure to draw passersby to your business, as they are easily visible off of the street. 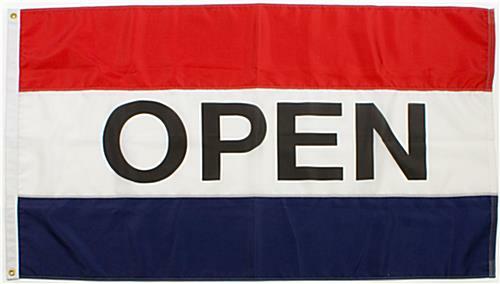 The open flag has the word "open" written in black, between the red and blue bands. 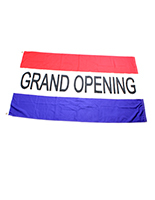 The advertising banner, open flag is made from nylon, with the ends quadruple stitched to ensure longer lifetime. 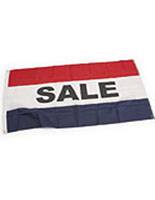 The message flag, open flag is double hemmed to be more durable, great for a lifetime of outdoor use. 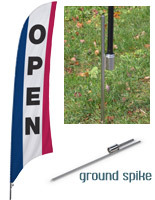 This open flag has (2) grommets to easily affix this flag wherever it will be hung. 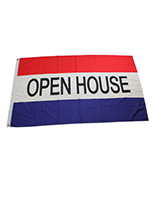 The open flag, also known as a message flag and decorative banner, is approximately 5' x 3', giving you a clearly visible sign. 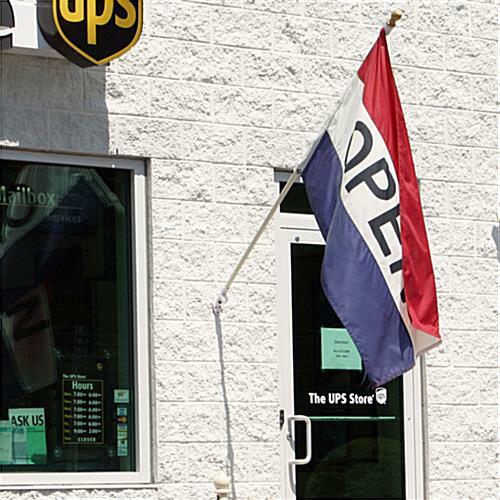 Hanging this open flag outside of your business effectively alerts customers to your location, letting them know you are open and drawing them into your business to purchase your wares.